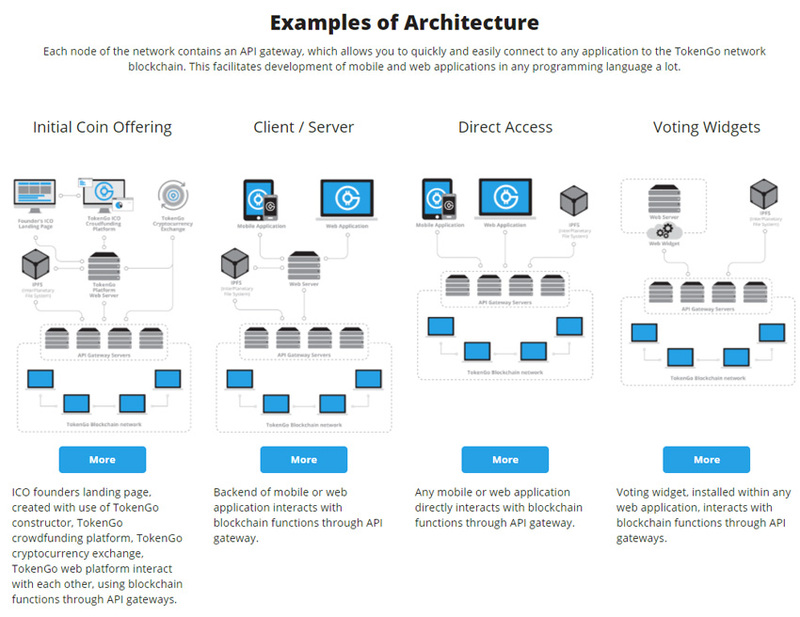 TokenGo offers a consolidated web platform with personal cabinets and comprehensive information on connected and forthcoming services and projects, as well as the current lCO procedures. Entrepreneurs and start-rup founders need comprehensible tools for lCO procedures enabling easy integration with a crowdfundlrlg blockchain platform. The TokenGo lCO landing page constructor solves the problem fully. ICO initiators can flexibly adjust their websites to perform ICO‘s and quickly, in just a few clicks, integrate them into the TokenGo web platform. Thus, we enable idea originators and project starters to considerably reduce the ﬁnancial thresholds and simplify the introduction on startups to the market; we ensure complete transparency of financial operations and allow investors to minimize risks. The TokenGo community strongly supports the concept of economic incentives as the main tool for attracting participants and, consequently, allowmg them to receive fair remuneration, proportional to their contribution. The TokenGo Community’s web platform enables participants to create media content in the form of reviews. expert analyses or forecasts and hold discussions uslng comments and votes. The Communlty’s essential objectives include creating high-qualily content and promoting active social interaction among the partlcipanls to ensure an efficient and professional approach to investing. 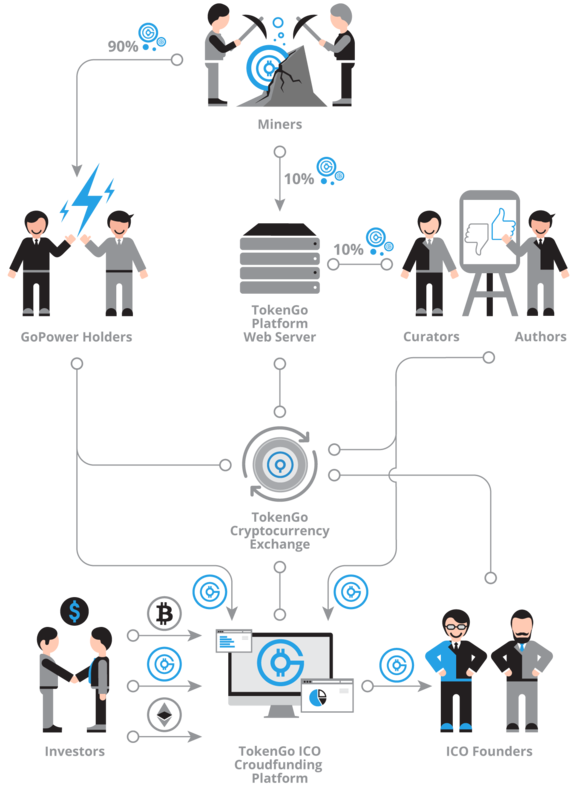 In order to boost this process, we offer an incentive scheme based on a DPoS consensus customlzed modlfication, which involves fair distribution of GoCoins among GoPower token holders and other categories of Community participants. Small changes in the details. Soft cap now is 10,000 ETH, and the ICO itself was extended until the end of May. Also now there is an opportunity to buy tokens for a currency.